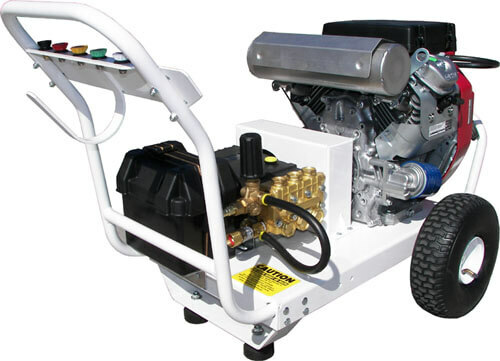 These comet pump pressure washers have the right volume (GPM) which is ideal for driving larger surface cleaners, flushing out lines, or allow for easy splitting of flow for two users from a single machine. The pressure can vary between 2,500 PSI and 3,000 PSI. All models are equipped with Honda GX engine 24. 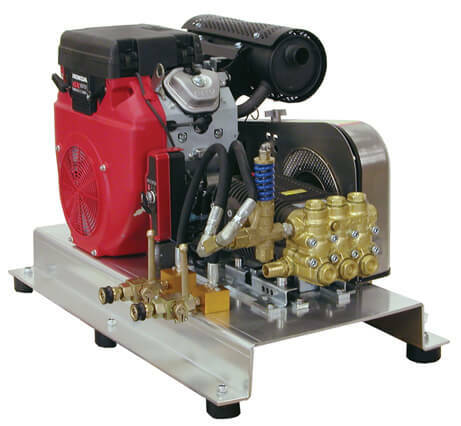 Some important features include thermal relief valve to protect a pump from overheating, 4 spray tips that allow professional cleaning of any surface, industrial rated pumps, large gas tank for a long hour operation, 36" insulated lance for smooth and secure grip, hi-rated (5000 PSI) trigger gun, 50 ft. of pressure hose for convenient power washing. All powers are factory tested before being delivered to the customer. Your best choices for your best values. * Residential deliveries are subject to residential delivery fee. Gun(s) and wand(s) must be purchased separately. Accessories, battery and Gas Tanks Sold Separately. NOTE: Make sure your purchase the correct orifice size for nozzles to be used.